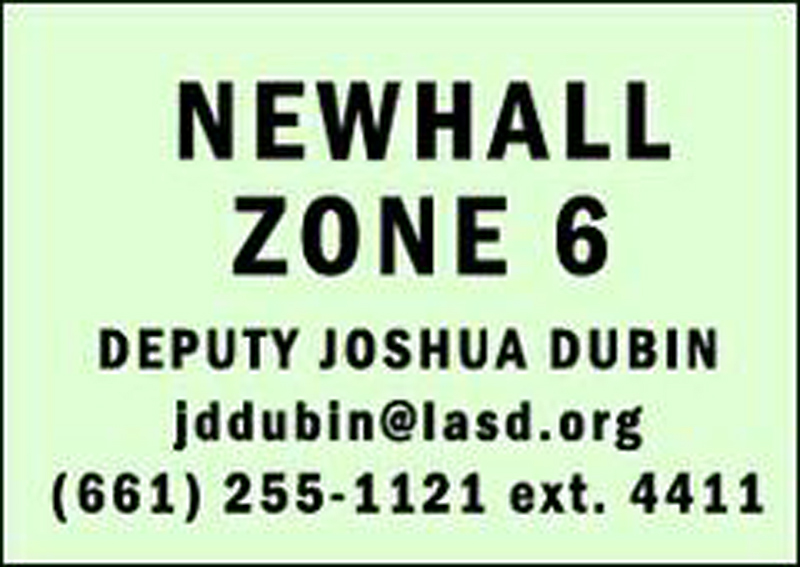 This week Newhall (Zone 6) saw five Part-1 crimes. One petty theft, one commercial burglary, and three shoplifting incidents were reported. As of 03/04/2013, I am happy to report that Newhall (Zone 6) has had 30% fewer reported Part-1 crimes than this same time period last year. On Monday, 02/25/2013, a student from Hart High School reported his cell phone was stolen from inside his backpack while he was playing soccer during his lunch period. This incident was reported to the school’s resource deputy (ref -02681). A supermarket located in the 24800 block of Orchard Village Road reported that seventeen cans of baby formula had been stolen (ref -02696). Later in the week on Friday, 03/01/2013, the same supermarket reported that 31 bottles of alcohol were stolen. On Sunday, 03/03/2013 at almost 1:00 a.m., deputies responded to a call of possible trespassing in the area of Hawkbryn Avenue and Wabuska Street. Deputies spotted a male run out from between two mobile homes and across the street. Deputies detained the male. The male was found to be in possession of marijuana and a loaded shotgun. Josue Cuevas, a 24 year-old male from Newhall, was arrested for carrying a loaded firearm in public. There is no further information available at this time in regards to this incident (ref -02973). On Thursday, 02/28/2013, Mayor Bob Kellar attended various briefings here at Santa Clarita Valley Sheriff’s Station to thank the patrol deputies for their continued hard work. He also spoke about various current events in the city. It was very nice of Mayor Kellar to stop by! On Wednesday, 02/27/2013 at approximately 2:15 p.m., a deputy observed a male sitting in a vehicle that was parked in a parking lot located in the 24500 block of Main Street, Newhall. The deputy watched as the male lifted a clear pipe to his lips and began smoking from the pipe. The deputy recognized the pipe as being a methamphetamine pipe. The proactive deputy detained the man and conducted an investigation. Richard Geroge McClelland, a 35 year-old male, from Saugus was arrested for possession of a controlled substance (ref -02783).